It’s a yōkai Xmas with master mangaka Shigeru Mizuki material on my coffee table this month! This marvellous creator of both autobiographical and fantasy manga with the gekiga approach to graphic storytelling of placing cartoon style characters over realistically drawn backgrounds has legendary status in Japan but really needs to be better known in the rest of the world. 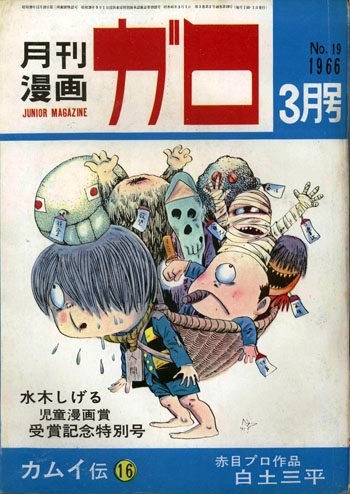 Mizuki GARO cover of Kitaro carrying a basketful of yokai characters. After serving in New Guinea in World War II Mizuki got his start in graphic storytelling as an apprentice artist in kamishibai, or paper theatre, in which successively shown painted cards operated and accompanied with vocal and musical narration by a street performer, told a story to audiences standing on street corners in Japan. 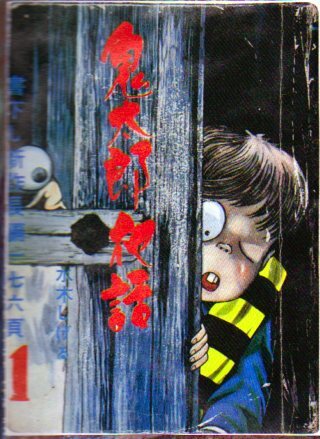 Early shape and form of Mizuki ‘s popular character Kitaro. Mizuki moved on to the print media from street theatre, making manga for the rental market and participating in the emerging gekiga form of alternative comics developed by Yoshihiro Tatsumi. 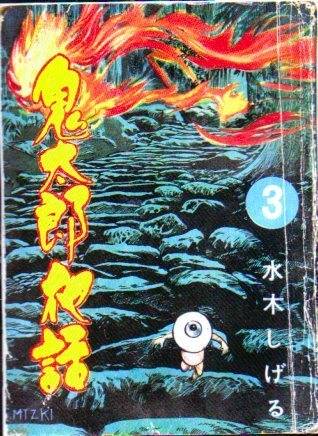 Interested in the ghosts and spirits of Japanese folk tales he developed his Kitaro character in a series of yōkai stories based on a popular kamishibai play by Masami Ito called Hakaba Kitaro from 1930s. Early shape and form of Mizuki ‘s character Kitaro with his father Medama Oyaji. Mizuki found an outlet for his stories in GARO magazine, an anthology publication of alternative manga. There he gained an assistant, Yoshiharu Tsuge, the developer of nejishiki, or Screw Style manga. 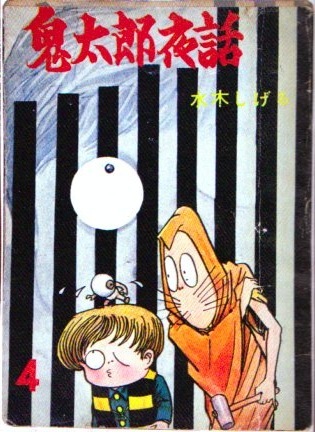 In the stories Kitaro’s deceased father reanimates himself as an eyeball and, with the eyeball as a head, grows a new body, hangs out in Kitaro’s hair and his hollow eye socket(Kitaro has lost one eye) and tries to help his son with his adventures. Kitaro with father and Nezumi Otoko. 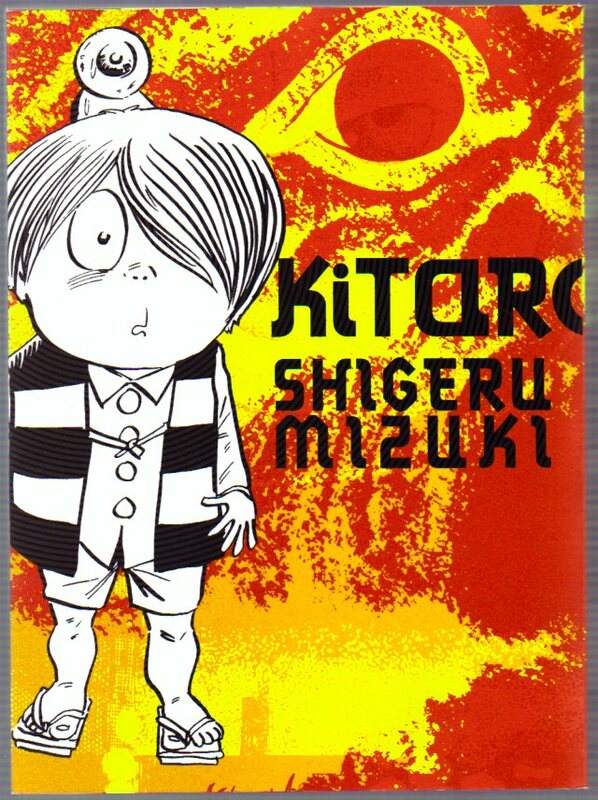 Shigeru Mizuki ‘s popular character Kitaro. Recently four of Mizuki’s works have been translated into English and published by Drawn & Quarterly. I expect he will become more better known outside Japan both for his manga GeGeGe no Kitaro and his interest and expertise in yōkai. 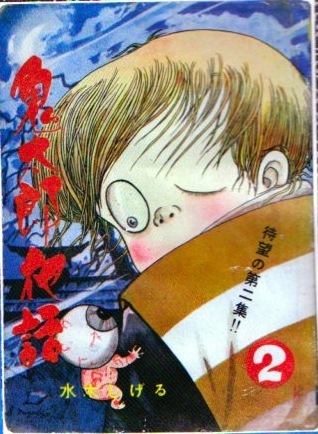 The Mizuki manga about the old woman who taught him yokai. 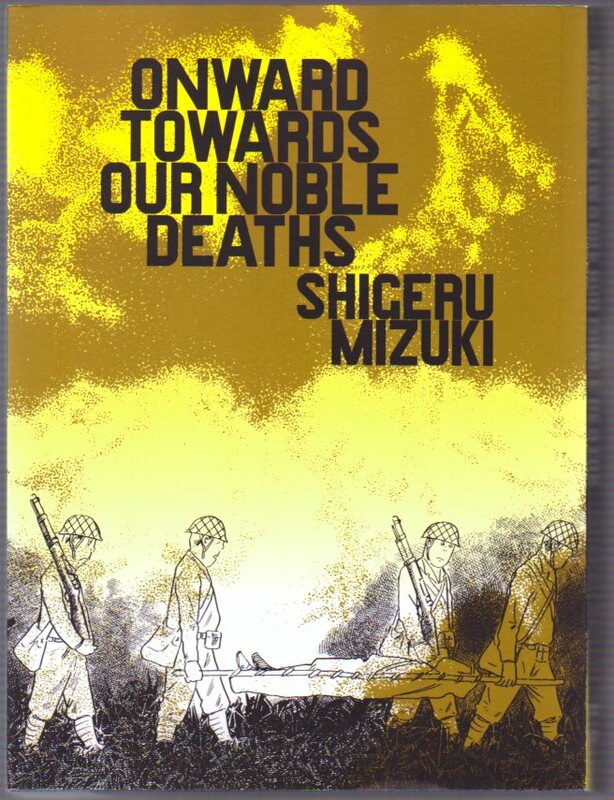 In Onwards Towards Our Noble Deaths (originally published as Soin gyokusai seyo! in 1973) based on his own experiences in the Japanese army in New Guinea during World War II, he portrays the sadistic officers who, driven by their ideological beliefs, were cruel to their own troops. Still, Mizuki manages to find several humorous anecdotes of life in wartime and the determination to survive. SHOWA 1926-1989 is a four volume history presented in manga form with contrasting graphic treatments of the history portrayed-the newspaper/media representation running alongside the cartoon adventures of Mizuki and his family living that history or the effects of it. Happy Xmas Shigeru! UPDATE 30 NOV 2015: Sad news breaking that Mizuki has died today, aged 93. This entry was posted in Art, Coffee Table, Comics, Japanning and tagged GARO, gekiga, kamishibai, Kitaro, Shigeru Mizuki, Showa, war comics, yokai, Yoshiharu Tsuge, Yoshihiro Tatsumi by Doctor Comics. Bookmark the permalink.